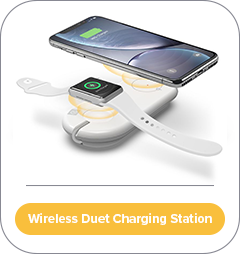 The ALOGIC Wireless Duet Charging Station recently launched is the perfect solution for those who wish to keep their bedside table, living room or work station tidy and clear of cables. Designed to fit any aesthetic living or work space, the product is a must have companion for your Apple Watch and iPhone as it charges both the devices simultaneously. Built with a Qi certified inbuilt wireless charger on one side, the Charging Station allows you to charge your Qi enabled smartphone such as the iPhone XS. The device also has a USB port for the user to connect their existing Apple Watch’s cable and a socket on top that provides a dedicated place for the magnetic charging connector to sit perfectly. Once the Apple Watch is placed on top of the charging cable the magnet on the watch aligns itself to automatically start charging wirelessly. With a power output of 7.5W the gadget is capable of faster charging, without overheating your wirelessly enabled smartphone such as the iPhone XS, iPhone XS Max, iPhone X, iPhone 8, iPhone Plus or any newer models. Charge your devices with peace of mind as the Charging Station is Qi certified, therefore it meets and exceeds all of the industry standards, which means that your devices are always safe and charges at the most optimum speed for the best performance. Engineered with a blue LED light that indicates when the gadget is turned on and a red LED light that informs you once the gadget is ready to be used, you never have to wonder if the device is working or not. 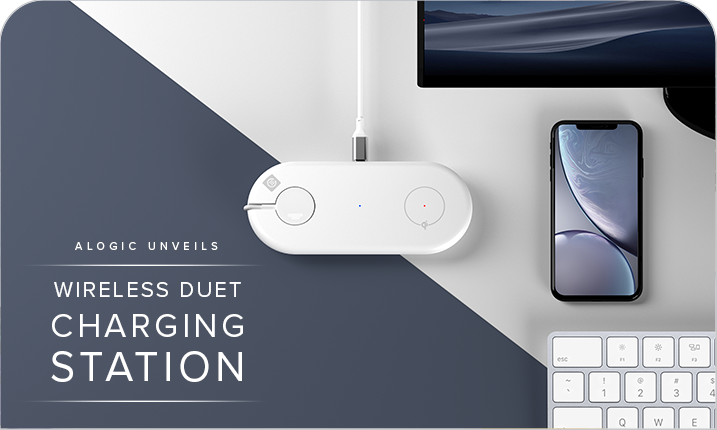 ALOGIC’s Wireless Duet Charging Stations blends seamlessly to any space at home or work due to its sleek and elegant design. Being powered by a USB-C port, the Charging Station can be powered by any available USB wall charger with an output 10W or more.